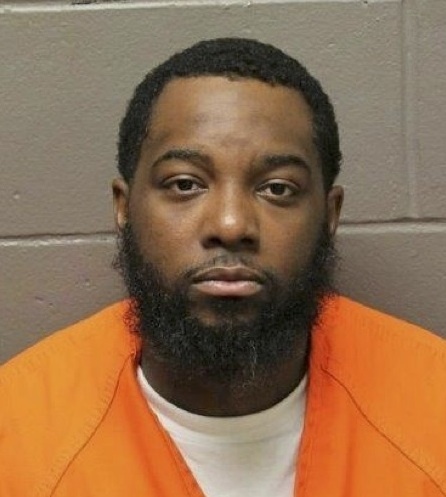 ATLANTIC CITY – An Atlantic City man was arrested early this morning, in connection to yesterday afternoon’s fatal shooting on North Maryland Avenue, Atlantic County Prosecutor Damon G. Tyner announced. Atlantic City Police responded on Sunday, May 14, 2017 at 2:49 p.m.to the 800 block of N. Maryland Avenue, Atlantic City, for a 9-1-1 report of a shooting. Upon arrival, emergency responders found Keith Cundiff Jr., male, 32, of North Virginia Avenue, Atlantic City, lying on the ground, the victim of multiple gunshots. Cundiff was pronounced dead. An autopsy is pending. Investigation through the night by detectives of the Atlantic County Prosecutor’s Office Major Crimes Unit and the Atlantic City Police Department resulted in the arrest of Lorin Wright, male, 31, of the 1000 block of Ohio Avenue, Atlantic City. Wright was arrested inside a residence on the 1000 block of Brights Court, Atlantic City, concurrent with the execution of a search warrant of the premises by law enforcement officers, and charged with murder—a crime of the 1st degree, possession of a weapon for an unlawful purpose, and unlawful possession of a weapon—2nd degree crimes. The arrest was made without incident. Wright was transported to the Atlantic County Prosecutor’s Office for arrest processing, and lodged in the Atlantic County Justice Facility. Wright is scheduled for a first court appearance this afternoon, Monday, May 15, 2017, at 2 pm., in Atlantic County Superior Court, Courtroom #2, and tentatively scheduled for a detention hearing on Thursday, May 18, 2017 at 1:30 p.m.
Atlantic County Prosecutor Damon G. Tyner credits the work of detectives of the Atlantic County Prosecutor’s Office Major Crimes Unit and the Atlantic City Police Department, and the help of the community, for quickly identifying, locating, and apprehending the suspect. Anyone with information about this incident is asked to call the Atlantic County Prosecutor’s Office Major Crimes Unit at 609 909-7666. Witnesses may also contact the Atlantic City Police Department Investigations Division at (609) 347-5766.